This week I am attending the AGO National Convention in Boston. 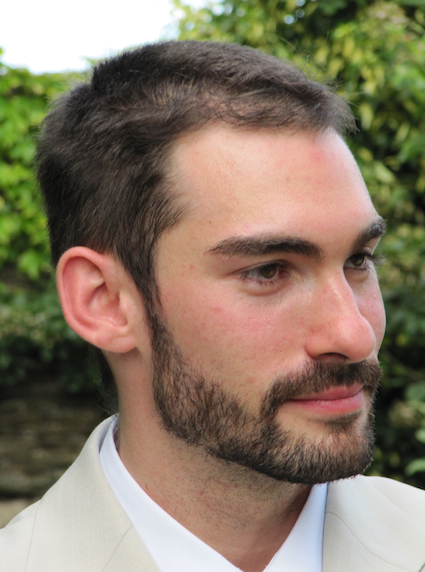 There will be several events that include organ improvisations during the week: a concert by Thierry Escaich, a Hymn Sing with Bruce Neswick and Pamela Ruiter-Feenstra, a silent movie accompanied by Peter Edwin Krasinski, and several workshops and masterclasses. You can see the complete list that I compiled here. While I am always excited to see many familiar people and hear some fabulous playing, one of the highlights for me at the national convention is always the National Compeition in Organ Improvisation (NCOI). After a preliminary selection round by recording, five candidates were selected to participate in the semi-final round. For this round, the candidates will have 30 minutes of preparation time with the themes and then will be required to play 1) a historically inspired improvisation based on a given hymn melody, chorale tune, or plainsong and 2) an improvisation on one of the given free themes, or on one given free theme and a secondary theme of the contestant’s choosing. 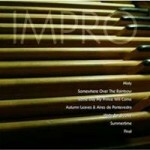 Total performance time for these two improvisations is a maximum of 27 minutes. While that may seem like a long time to improvise, most candidates usually create a suite of variations on the hymn, chorale, or chant, so it becomes a little easier to fill the time requirement with short manageable movements. In fact, over the years, I’ve seen a few candidates have to end quickly in order not to play too long! A maximum of three candidates will then be selected to continue on to the final round. The requirements for the final round are 1) a prelude, fantasia, or toccata and a fugue based on given theme(s), which may be sacred or secular and 2) a free improvisation based on a given musical theme or a given nonmusical theme (literary passage or artwork). Total performance time is again limited to a maximum of 27 minutes. How many of these tasks would you feel comfortable doing now? Even if you aren’t able to hear the competition this week, the AGO has previous competition recordings available in the AGO Store. I found the recording from Nashville in 2012 listed in the Organ Music/Essays/Catalogs category. It also seems like you may be able to obtain other recordings from AGO National if you call and ask. Because I received a request to report on the competition from someone who is not able to attend, I decided to set up a twitter account and live tweet the competition. I’ll eventually post a summary at organimprovisation.com, but if you’d like to follow along as it happens, I’ll do my best to make it informative and entertaining. With everyone following the World Cup, here’s my chance to be the announcer for the “American Cup” of organ improvisation. 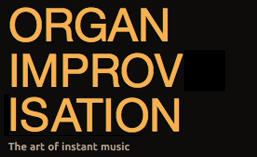 Follow me at @organimproviser to see if improvisation can be more exciting than soccer! After a week of competitions, concerts, and workshops, I hope to have more practical advice for you next week. Hoping you are having a fabulous summer of learning and fun! Posted in Newsletter. Tagged @organimproviser, AGO, AGO National Convention, Boston, Breaking Free, Bruce Neswick, Competition, Frère Jacques, Jeffrey Brillhart, La Folía, National Convention, Newsletter, Noël Hazebroucq, Pamela Ruiter-Feenstra, Peter Edwin Krasinski, Piet van Egmond, theme, Thierry Escaich, twitter, Veni Sancte Spiritus. Posted in Organist. Tagged Chartres, Noël Hazebroucq, Paris.